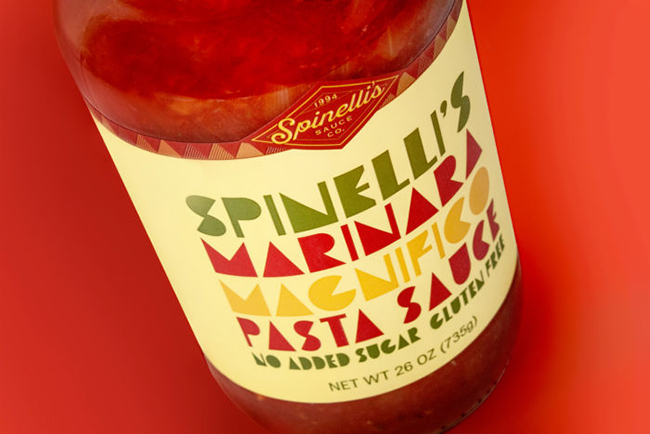 Spinelli’s is a small, Italian market in Denver CO curated for the family that shops daily for fine crafted foods. The founders were their own target market. 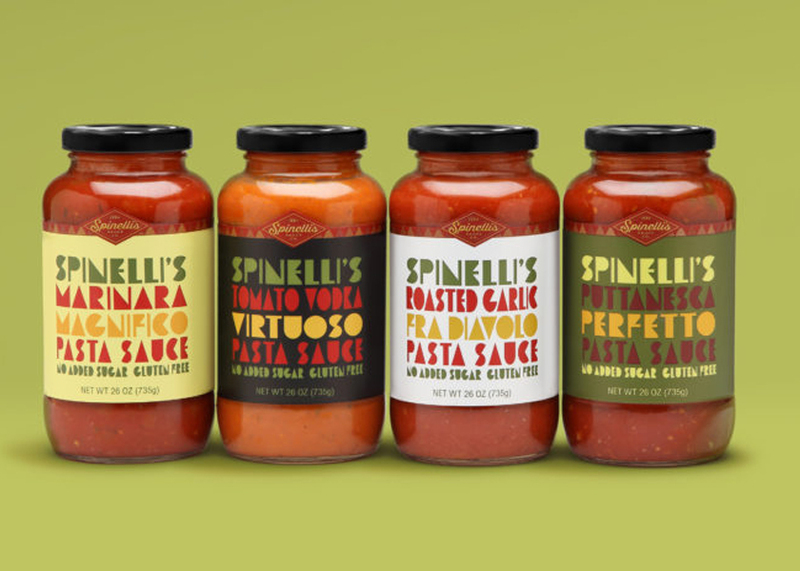 So, when Chef Chris Rogers started at Spinelli’s, she shared her personal recipes with the owners and together they created a private label line of pasta sauces and salad dressings called Spinelli’s Sauce Co. The family sold the market in 2016, but the sauce company continued to grow. Hundreds of thousands of bottles later, the sauces can be found across Colorado, but the label still featured an image of the market the didn’t feel relevant anymore. And the food industry had changed: a product no longer sold just because it was good, it needed to also tell a story. Says Ellen Bruss: “We dialed up the tried and true Italian colors and added a palette of deeper reds, a loud yellow, white, and shades of greens. Since this was our third and least safe brand design option, we said, ‘It’s real cool. But can mom read it?’ So we did the ‘mom test’ and mom after mom was able to read the labels. And as it turned out, the client loved the daring nature of the solution. 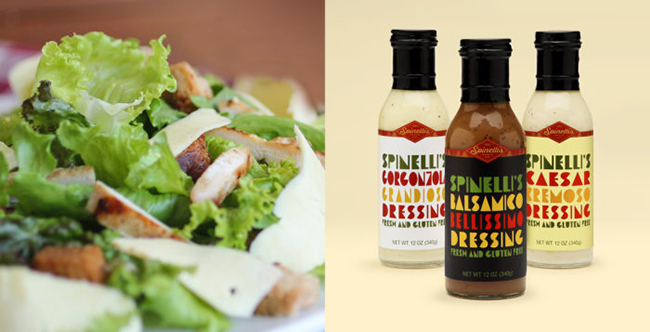 The sauces and dressings are currently at Whole Foods, Marczyk Fine Foods, Natural Grocers, Sprouts, City Market, King Soopers, Safeway, and, of course, the original Spinelli’s Market.